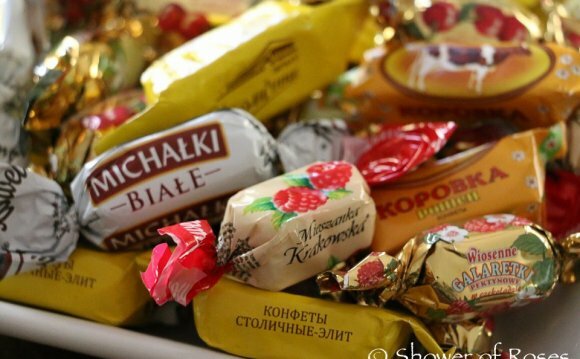 Here comes a list of modern and traditional Polish desserts and sweets. Under their descriptions, you can find some authentic recipes. Going to visit Poland? Would you like to taste some delicious foods not choosing on spec? You are welcome. All Polish foods listed below constitute a typical Polish menu even today. Therefore, while visiting Poland, one will certainly come across many of them. I wish you good luck in exploring Polish tastes and… Smacznego! Paczki are one of the most typical sweet snacks you can buy in a Polish store. Paczki are a round spongy yeast cake stuffed with one of many fillings like: rose or strawberry preserves, liqueur, budyn (Polish pudding/blancmange, see below), sweet curd cheese or chocolate. This Polish dessert is fried on deep oil until it reaches a dark, golden color and is served topped with powdered sugar, icing sugar or chocolate. Also, it is oftentimes sprinkled with orange peel. Paczki are one of the most traditional Polish desserts; they appeared in Poland during the time of King Augustus III of Poland (first half of 18th century). The word paczki is plural, its singular equivalent is paczek. In Poland, there is a strong and pleasant tradition of eating paczki on last Thursday of the carnival. This day is a so-called 'fat Thursday' ('tlusty czwartek' in Polish language). Statistically, every year the Poles consume 100 million paczki in a course of this one day only. A superstition says, that if anyone does not eat a single paczek, they will be unlucky all year long. In the past a baker who had prepared paczki, hid an almond or a nut in some of them. Poles believed that the one who finds one of these paczki, is going to be lucky all their life.